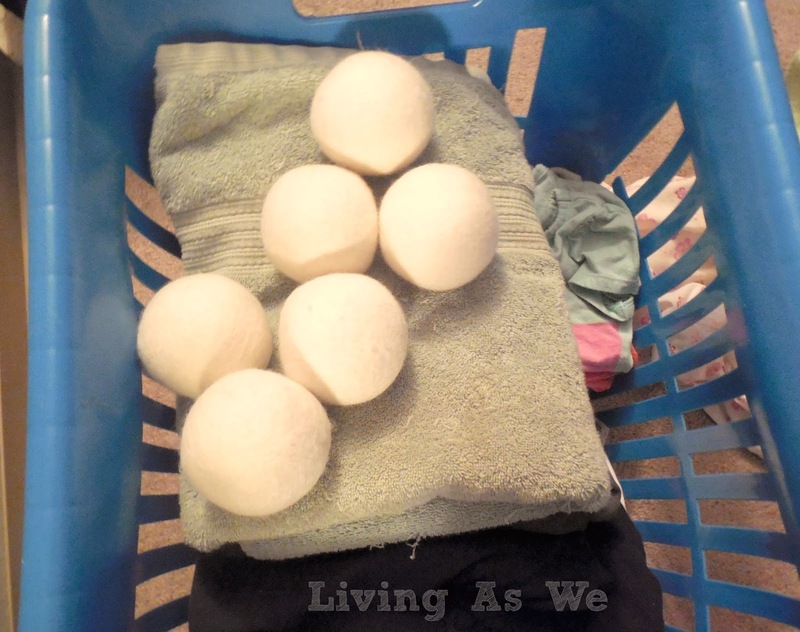 Living as We: Woolzies: The Eco-Friendly Way to Soften Your Clothes! Woolzies: The Eco-Friendly Way to Soften Your Clothes! I first saw Woolzies Dryer Balls reviewed on a couple of blogs. At first, quite honestly, I didn't understand the purpose of them. But, after doing some reading, I came to realize just how beneficial these little wool balls are. Woolzies are 100% Eco-friendly, handmade in Nepal using fine New Zealand wool. They are hypoallergenic, which works perfectly in our household full of skin sensitivities. We don't have to worry about using the regular dryer sheets anymore! Sure the dryer sheets smell nice, but they're so full of chemicals and the perfumes can make it extra irritating to our skin, especially our daughters. Plus, the package included some helpful tips on how to achieve great smelling laundry in a natural way. So far, our drying time has decreased too, which is significant considering we live in an apartment building. Usually we have to put in extra quarters to dry, but not with these. Our clothes come out fluffier, and softer than normal. Surprisingly, no static either! Guaranteed for at least 1000 loads, these things are going to save you money! I did a little math, because, well, I'm a bit of a nerd and like to see what my cost will be for things. To get 1000 dryer sheets (assuming you only use one sheet per load, though some people use 2 or 3), is about $60. Add that to the $25 I'll save by not having to use the extra quarters for those thousand loads. That's $85, minus the cost of the dryer balls ($30), and all in all we will still be saving $55. :) Any savings is good savings, in my opinion. Not to mention, I'm extra happy about not paying for the typical dryer sheet, and being eco-friendly. 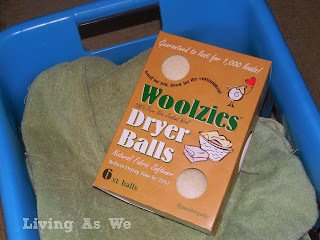 I think Woolzies would make a great addition to any households laundry routine! Disclosure: I received a product sample in order to conduct this review. Opinions are 100% my own. No waste, no chemicals, and saves some money?! I need these! I was fortunate enough to get to review these and loved them. $55 is a great savings! Thanks for stopping by The Zoo. Good Luck with the giveaway. They've definitely been a big help! And I'm still getting a lot of use out of them. I was so happy to figure out how much I'd be saving by using them. :) Thanks Sarah. These are really nice, thank you for sharing your candid review. Thanks Shannon! They've been very helpful. I've always fancied some of these but never got around to buying any and now I found directions on line of how to make them yourself - an even bigger saving and quite easy to make too. I love woolzies ! They make such a difference. 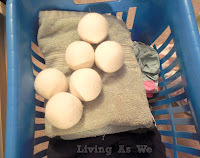 I can do a huge load and it will be dry in 50 min, from the woolzies, and they make my clothes soft, and no chemicals!